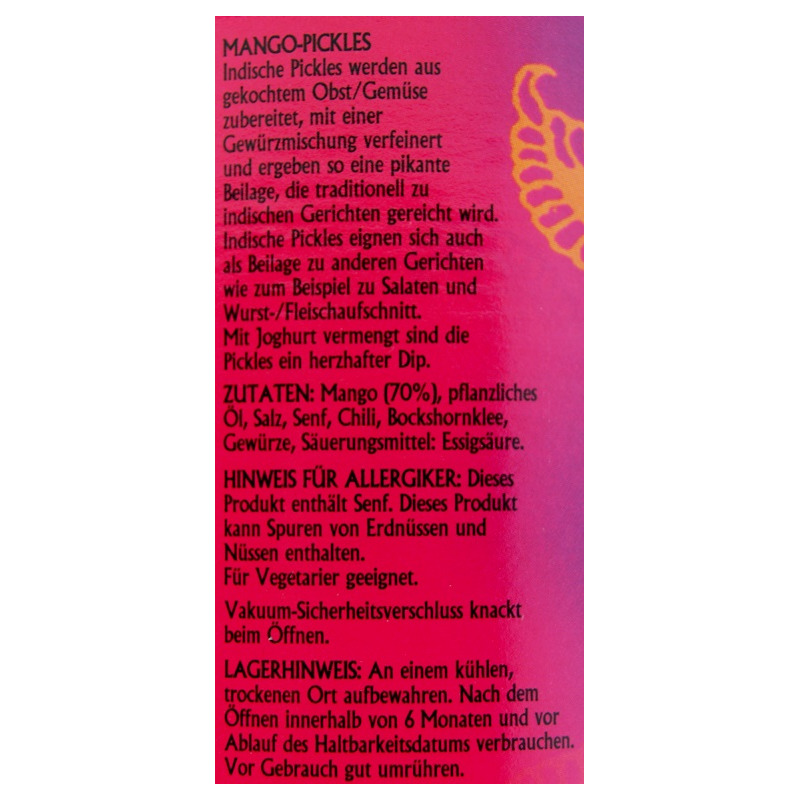 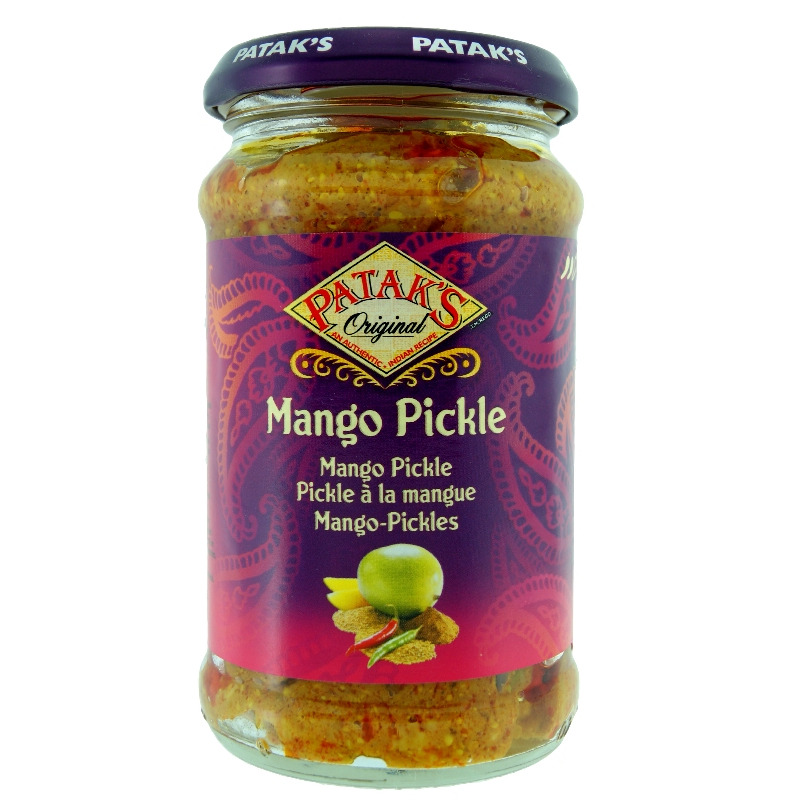 Patak's Mango Pickle is a delightful combination of succulent green mangoes with aromatic spices. 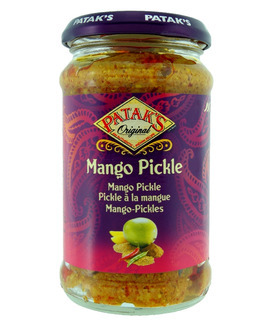 It has been prepared using a traditional, tried and tested recipe. Every juice bite of this delicious pickle is truly delightful and the perfect accompaniment with rice, curries or parathas. 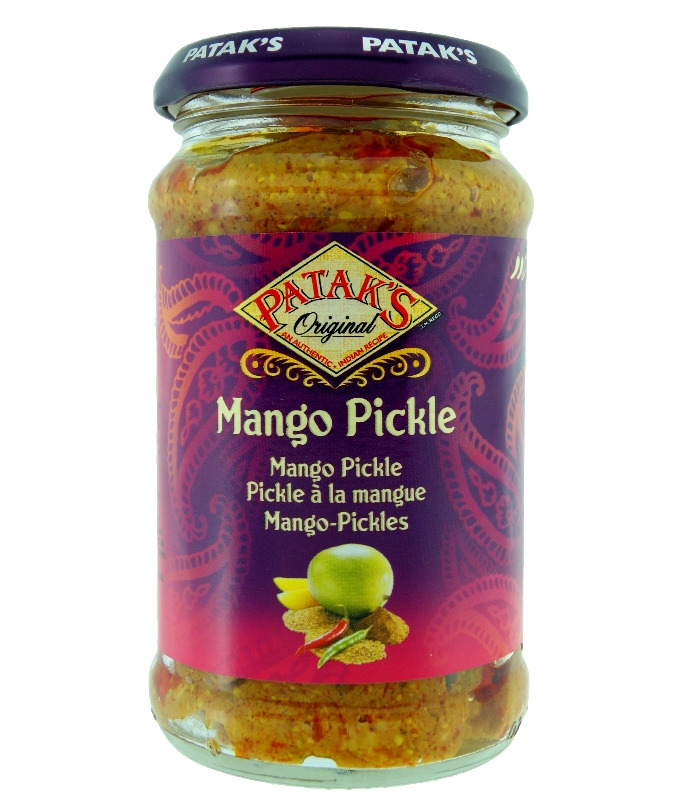 Patak’s Mango Pickle is medium spicy. 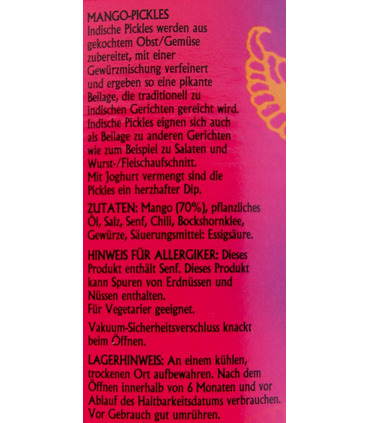 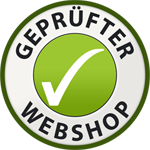 - This product contains mustard and may contain traces of peanut or tree nuts.